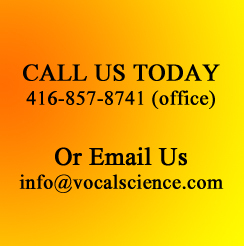 The Best Treatment Method for Vocal Cord Polyps to Regain & Improve Your Voice. What are vocal cord polyps? Polyps on the vocal cords are fluid-filled lesions. Unlike polyps in other body parts (such as the colon) vocal fold polyps usually are not associated with cancer; but the main problem that a vocal cord polyp can cause negative sound quality of one’s voice due to the interruption in vocal fold closure - disrupting the production of the sound. These kinds of polyps are much different from nodules. They tend to have more blood vessels then nodules and appear reddish in color. The growth of these polyps can be different in size and shape, but they are usually larger than nodules and the also resemble the same look as blisters. Vocal cord polyps can be caused by different forms of trauma - not withholding (what could be potentially harmful) activities - like, for example: singing, screaming, excessive talking, etc. Symptoms of vocal cord polyps. 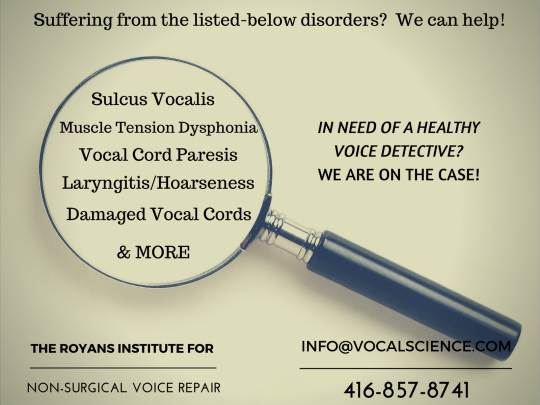 The only way to find out if your symptoms are due to vocal cord polyps is to have your voice disorder diagnosed. That requires the use of a laryngoscopy and/or a stroboscope by a laryngologist. These polyps appear as fluid-filled lesions on the edge of the vocal fold. The polyps typically develop in the mid-portion of the vocal fold, causing air escape during voice production. Vocal fold polyps can initially be treated with the use of an alternative form of speech therapy. This form of therapy helps you to improve and enhance vocal fold usage; teaching the patient to avoid behaviors that commonly contribute to polyp formation. It is a highly effective and proven method that also reduces the need for vocal cord surgery. 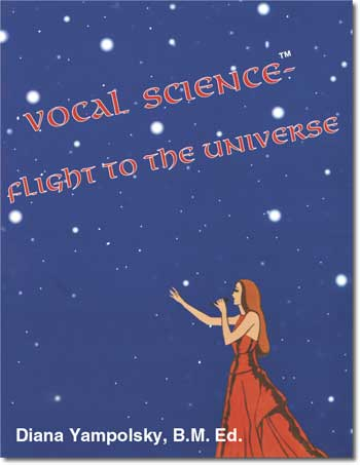 This therapy is also a critical component in optimizing the quality of the human voice, therefore minimizing and/or eliminating vocal strain. For those who suffer from voice disorders like Vocal Cord Polyps and are in need of the best non-surgical voice treatment and care, contact us today and find out what can be done to rectify it.